By Alex on June 5, 2018; modified on June 6, 2018. Filed under: security, server, vpn, wordpress. As a blogger and a privacy wonk, I’ve written a lot about WordPress security for bloggers and VPNs for digital nomads, gamers, binge-watchers, and privacy-minded folks in general. But it never occurred to me bloggers could be questioning the relevance of VPNs for blogging until someone asked me about it. What’s So Special about VPNs? There are two fundamental functions of a VPN – geo-spoofing and data encryption. A VPN is a network of servers across the globe. 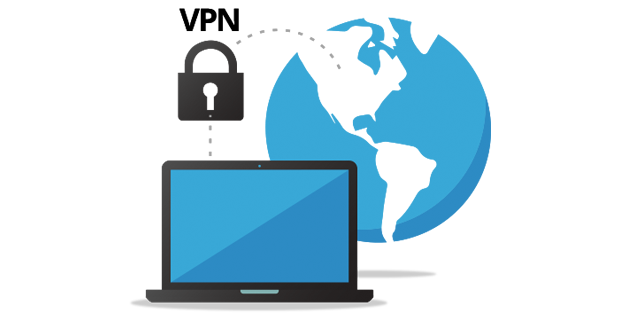 When you connect to a #VPN #server, your VPN #provider routes your #traffic through that server. Also, you get an #IP address of a country where that server is hosted. A foreign IP enables you to bypass geo-blocks and unlock streaming sites, online TV, you get the idea. That’s geo-spoofing. But a VPN also encrypts your traffic, making it unintelligible for anyone looking to snoop on your activities. That’s where the real value of VPNs kicks in – data encryption adds an extra layer of security to your browsing. Now, let’s see if VPNs are relevant to blogging security. Securing your blog by enabling VPN encryption when you log in to your admin area is just as important as using a strong password. Admin credentials are often the first thing that gets targeted in Man-in-the-Middle (MITM) attacks, and encrypting them in transit protects them from interception by hijackers of blogs. Blogging means a lot of uploads and downloads, sometimes torrenting. Whether you deal with illegal files or not, you don’t want script kiddies and copyright trolls sifting through your traffic or doctoring it. A VPN encrypts your data and hides your real location, protecting your blog content – and your identity – while you blog. Bloggers need unrestricted access to information when they do their research. Many countries impose draconian censorship filters on ISP-level, and a variety of sources get washed away from your search results. News sites, scientific papers, legal documents, statistics, books, movies, and music can be inaccessible based on your location. Likewise, your employer or school can impose a firewall to prevent you from accessing your blogging platform or social media you use for promoting your blog. That’s where geo-spoofing with a VPN helps you cut through your ISP- or employer-imposed censorship and firewalls. Some argue only dissident bloggers in totalitarian states, investigative journalists, and extremists need a VPN to protect their identity when blogging. I disagree. Today, everyone and their uncle have access to surveillance technology. Your Internet Service Provider, copyright trolls, Facebook, ad agencies, state-sponsored and individual hackers can snoop on your online activities. Many of these entities do it legally, while your ISP is even entitled to sell your data. Are you OK with having no privacy online? I’m certainly not, that’s why I use a VPN in the first place. Do you sometimes rely on public WiFi to access your blog? Using public WiFi without giving a second thought to security is a bad idea because that’s where hackers set up honeypot and MITM attacks. VPNs encrypt your traffic, protecting your credentials and content when you blog from unsecured networks. Last but not least, VPNs help you access location-restricted deals, offering interesting savings opportunities. In the end, it’s not about if a VPN helps with the security of your blog, but which VPNs are reliable – and feasible – for a blogger. But that’s a different story. Alex Grant is a Product Manager and digital nomad at BestVPN.